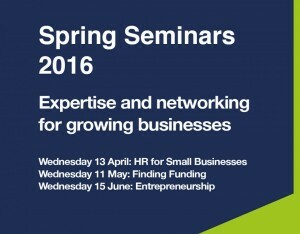 Cranfield Innovation Centre are launching a brand new season of free seminars this Spring. Join them for breakfast networking and to hear from expert speakers on what you need to do to build your business for the year ahead. Where to look for finance and grants including the latest initiatives from the UK and Europe. Cranfield University Technology Park’s free business seminars are designed to suit the needs of growing businesses in the Milton Keynes and Bedford area, with topics ranging from finance and business development to apprenticeship programmes.